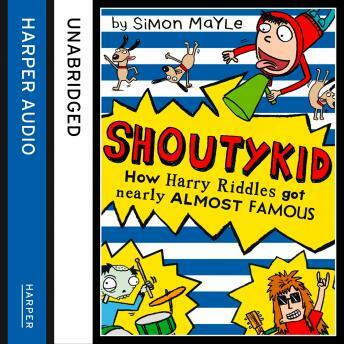 The funniest kid in fiction is back and he's got a lot to SHOUT about! So I've joined a band with Jess and this new kid, Kevin, who is pretty annoying but also a REALLY talented guitar player. We've got a good shot at winning the Battle of the Bands competition for our school as long as Kevin doesn't get expelled first. But here's the thing, my dad has this crazy idea to take me, my mum, my EVIL sister and my twin brothers sailing round the world. For TWO years!!!! Swimming with dolphins, and scuba diving would be pretty cool, but how am I meant to reach rock stardom if I'm stuck on a boat in the middle of the ocean?